While architects have been the subject of many scholarly studies, we know very little about the companies that built the structures they designed. This book is a study in business history as well as civil engineering and construction management. It details the contributions that Charles J. Pankow, a 1947 graduate of Purdue University, and his firm have made as builders of large, often concrete, commercial structures since the company’s foundation in 1963. In particular, it uses selected projects as case studies to analyze and explain how the company innovated at the project level. The company has been recognized as a pioneer in “design-build,” a methodology that involves the construction company in the development of structures and substitutes negotiated contracts for the bidding of architects’ plans. The Pankow companies also developed automated construction technologies that helped keep projects on time and within budget. 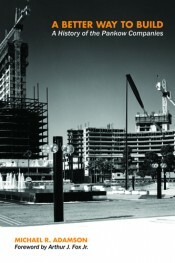 The book includes dozens of photographs of buildings under construction from the company’s archive and other sources. At the same time, the author analyzes and evaluates the strategic decision making of the firm through 2004, the year in which the founder died. While Charles Pankow figures prominently in the narrative, the book also describes how others within the firm adapted the business so that the company could survive a commercial market that changed significantly as a result of the recession of the 1990s. Extending beyond the scope of most business biographies, this book is a study in industry innovation and the power of corporate culture, as well as the story of one particular company and the individuals who created it. 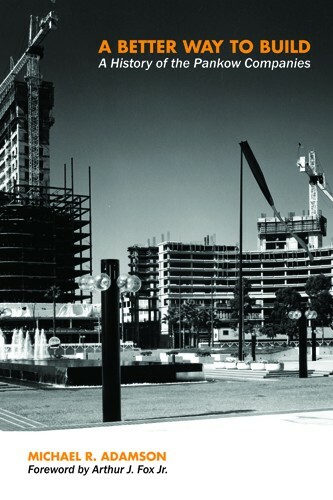 Readers will be also be interested in the online exhibition, "Advancing the Construction Industry Through Innovation," that provides access to oral histories and other materials brought together as part of the Charles Pankow Legacy Project. Tells the story behind many iconic buildings, especially in the western half of the US. Charles Pankow was a pioneer in concrete construction and the “design-build” system. Michael R. Adamson, PhD (UC Santa Barbara, 2000), has taught history at a number of institutions, most recently at California State University, and is an independent historical consultant. His research focuses on California business and urban history, natural resource development in the West, and US foreign economic policy. In 2006-2007 and 2008-2009, he was a fellow at the Huntington Library, where he researched the career of Ralph B. Lloyd, a southern California oil man and commercial real estate developer in Los Angeles and Portland, Oregon. His essays have appeared in American Sociological Review, Business History Review, Diplomatic History, Financial History Review, the Journal of American-East Asian Relations, the Journal of Urban History, Presidential Studies Quarterly, and several scholarly collections.